Subway: Floor 16, Building 2, Lanbao International Center, No.3 West Dawang Road, Chaoyang District, Beijing. (There is two exit for subway line 1, and go out from northwest of exit A of Dawang Road( exit A has three exit) and 200 meters to the north. Or go out from exit E. Go out from exit E of Dawang Road of subway line 14. Remarks: Take a lift from the first floor of the Lanbao Cafe (which is closed) to the floor 16! Subway: 1.Go out from exit D(southwest exit) of Jintaixizhao station of subway line 10, and walk for 3-5 minutes to arrive. Address: Floor 22, Block B, Building 1, Zhubang 2000, No.98 BaliZhuangxili, Chaoyang District. Subway: Beijing station: Take subway line 5 to arrive directly. Go through exit F(northeast) of Chongwenmen and after 10 stations arrive at Huixinxijie North Exit and go out from exit A(northwest) /Beijing south railway station: Take subway line 14 to Puhuangyu after 3 stations, and change line 5 to Huixinxijie North Exit after 13 stations and go out from exit A(northwest)./ Beijing west railway station: Take subway line 7 and after 8 stations to Ciqikou station, and change line 5 to Huixinxijie North Exit after 11 stations, and go out from exit A(northwest). Subway: Beijing railway station: Take subway line 2 to Xuanwumen after 4 stations, and change line 4 to Caishikou after one station, and change line 7 to Daguanying after 2 stations./Beijing West Railway Station: Go from Beijing West Railway Station and to Daguanying after 2 stations./ Beijing South Railway Station:Take subway line 4 to Caishikou after 2 stations, and change line 7 to Daguanying after 2 stations. Subway: Take subway line 7 to Jiulongshan( 11 stations) and change line 14 to Futong station (8 stations) and walk to Wangjing studio./ Take subway line 2 to Chaoyangmen(2 stations) and change line 6 to Jintai Road(3 stations) and change line 14 to Futong station(6 stations), and walk to Wangjing studio./ Take the east of subway line 14 to Futong station(15 stations) and go out from exit B1(northeast) and walk to Wangjing studio. Subway: Beijing Railway Station: subway line 2→subway line 6→subway line 10./Beijing Railway Station: Take subway line 2 to Chaoyangmen after 2 stations, and change line 6 to Hujialou and take line 10 to Sanyuanqiao after 4 stations. Subway: Beijing railway station: Take subway 2 to Xizhimen after 9 stations, and change line 4 to Zhongguancun after 6 stations./Beijing west railway station: Go from Beijing west railway station to the National Library after 4 stations, and change line 4 to Zhongguancun after 4 stations./ Beijing south railway station: Go from Beijing south railway station and to Zhongguancun after 15 stations. Subway: Beijing West Railway Station: Take subway line 2 to Dongzhimen (2 stations), and go out from exit C and walk to Dongzhimen studio./Beijing South Railway Station: Take subway line 4 to Xuanwu Station (3 stations)and change line 2 to Dongzhimen station (8 stations), and go out from exit C and walk to Dongzhimen studio. Subway: Beijing railway station: Go from Beijing railway station to the Lama Temple after 5 stations, and change line 5 to North Beiyuan Road after 6 stations, and go out from exit A2(northwest)./Beijing west railway station: Go from Beijing west railway station to Ciqikou after 8 stations, and change line 5 to North Beiyuan Road after 13 stations, and go out from exit A2(northwest)./Beijing south railway station: Go from Beijing south railway station to Puhuangyu after 3 stations, and change line 5 to North Beiyuan Road after 15 stastions, and go out from exit A2(northwest). Subway:Take subway line 9 to Baishiqiao South station (3 stations) and change line 6 to Chaoyangmen(7 stations), and go out from exit A(northeast), and walk to Chaoyangmen studio./Take subway line 2 to Chaoyangmen(2 stations), and go out from exit A(northeast), and walk to Chaoyangmen studio. 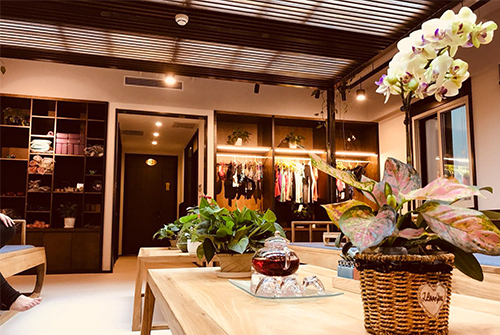 Address:Room506/509/512, No.2 Building, Dayuecheng Apartment, No.99 North Chaoyang Road, Chaoyang DistrictBus route: Chaoyang District, Beijing, arrive at the youth road station of subway line 6, go out from exit B(northeast) and walk straight for 50 meters and turn left to No. 2 building of Dayuecheng apartment and take lift. Room 11B, Block A, Jinyuanshidai Business Center, No.2 East Landianchang Road, Haidian District.